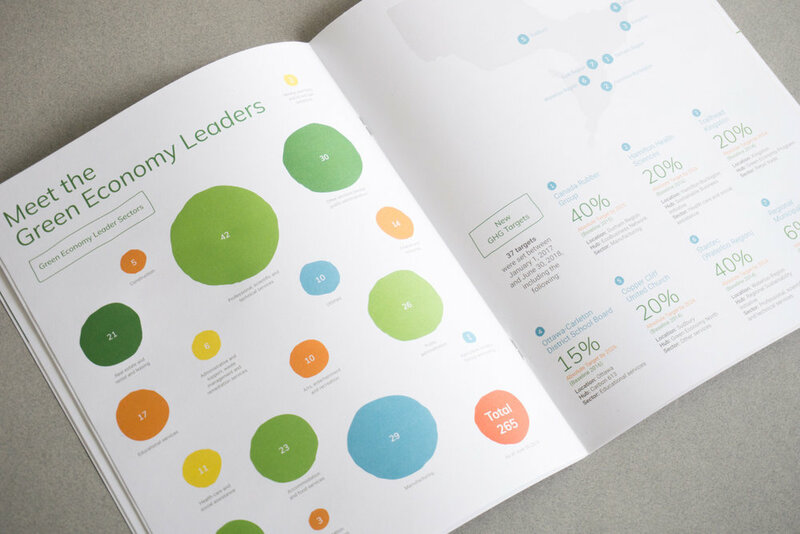 For Green Economy Canada’s annual report I illustrated the cover and designed select key spreads. Green Economy Canada (GEC), an organization that envisions an economy where environmental sustainability, human well-being and business success are synonymous. The GEC annual report shares the stories and impact the hubs and businesses have accomplished working together to create a more sustainable economy. This year’s theme for the report was the idea of “It’s Possible”, showing that with the commitment of people working together we are currently creating a movement that will affect future generations to come. GEC is shifting expectations, with 6 communities and over 250 businesses.